Smylies can offer a niche temperature controlled LCL service from our Bromborough facility to Jebel Ali, Dubai, UAE. For any more information on the temperature controlled solutions that Smylies provide, speak to an experienced member of our team today. Smylies can offer a temperature controlled LCL service to Jebel Ali, Dubai, UAE. If you don’t have enough freight for a full container, want to avoid higher airfreight costs and have products with a good shelf life then this service would be a good fit for your business. 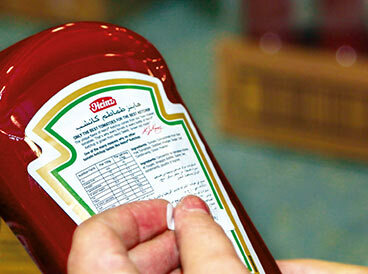 The Smylies team understand the labelling and ink jetting requirements for the Middle East market. We will advise, where possible, if ingredients such as meat, E-numbers, alcohol etc. are prohibited. We can ink jet production and best before dates on every product, carton, sleeve and box as required and our services can be tailored to meet the requirements of each client. Smylies provide a comprehensive range of labelling services, including translations and best before dating. We can tailor our labelling solutions to suit your specific needs. Get in touch with a member of the Smylies team today to discuss the labelling services that we provide. Contact us online or call an expert directly on 0151 653 3335.